To coincide with the new 4k restoration of A Fistful of Dollars, the IFI is delighted to present screenings of Sergio Leone’s Dollars trilogy on consecutive Sundays throughout April. Beginning on April 15th with A Fistful of Dollars, this short season will continue on April 22nd with For a Few Dollars More, and finish on April 29th with The Good, The Bad and the Ugly. Tickets for each of the screenings are now on sale from the links below, or via the IFI Box Office on 01-6793477. A Fistful of Dollars – April 15th at 16.40 – book HERE. For a Few Dollars More – April 22nd at 15.00 – book HERE. 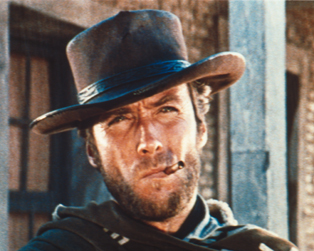 The Good, the Bad and the Ugly – April 29th at 15.15 – book HERE.